Bridgestone is a highly recognised global brand and is probably one of the most popular tyre brands around the world. Bridgestone started out in Japan and has become a global player when it comes to tyres it has plants and technical centres dotted all over the world. It is true to say they have become as much of an icon for Japanese tyres in the same way Toyota is for cars. 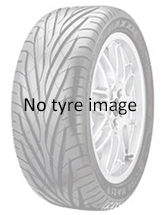 Their product range covers all types of tyres and is original fitment on many vehicles. The Bridgestone run flat is probably the most popular run flat seen on cars. They are priced at the top end only slightly cheaper than a Michelin. Despite the price, they are still very popular because of the quality and market appeal.